3 Bedroom Flat To Rent in Sheffield for £900 per Calendar Month. 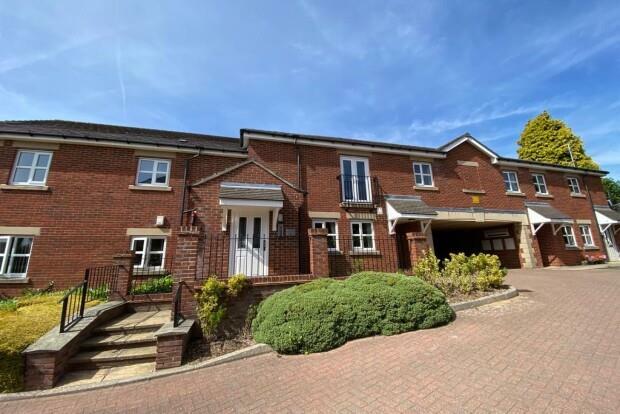 A superb three bedroom furnished first/top floor apartment with glorious views is situated within this peaceful development, located off Sandygate road in the highly sought after Crosspool. This fantastic apartment is ideal for easy access to the hospitals and universities and is close to the local shops, bars and restaurants at Crosspool, you can easily access Crosspool in a few minutes walk. This development is very peaceful and offers rural living on the edge of the city. The apartment briefly comprises of: spacious entrance hallway with intercom. Spacious light and airy open plan lounge/dining room and kitchen with appliances including a washer/dryer, free standing fridge/freezer, electric hob, oven and a shelving unit. The open plan livingroom with dining area offers great living space and has a two piece suite, dining table with chairs, TV stand, table and shelves. The master bedroom has glorious views over Redmires and has en suite shower room has sliding mirrored door wardrobes and a dressing table and computer table with chair. The second double bedroom has a single bed, free standing wardrobe and has glorious views across Redmires. The third double bedroom has a wardrobe, dressing table and also has fabulous views. The family bathroom comprises of a three piece suite in white having a bath, wash basin and WC. This apartment is tastefully decorated throughout and is very light and airy. All windows are dressed with curtains and blinds and there is extra storage room in the entrance hallway. There is allocated parking and ample space for visitors. Ideal for a professional couple/family or a couple or two professional sharers! Available 14th May 2019 on a furnished basis only.